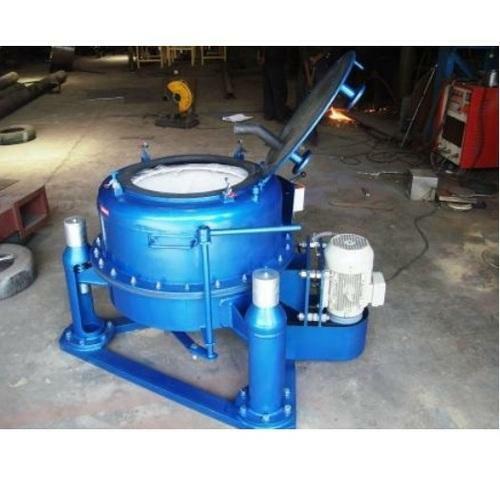 We are engaged in offering a wide range of Three Point Suspension Centrifuge that is widely appreciated for high operational efficiency and negligible maintenance. Incepted in the year 1982, we “Manoj Engineering Works” are recognized as the foremost manufacturer of Industrial Centrifuge, Electric Dryer, Industrial Pulverizer, Industrial Blender and Hydro Extractor. Furthermore, we also provide Blender Repairing Service. This assortment is designed and manufactured in compliance with the international standards under the supervision of our industry experts using supreme grade raw materials and sophisticated technology. Due to excellent performance, easy functionality, sturdy construction, high strength, low maintenance and user-friendliness, our offered products are widely used in various engineering and manufacturing industries for varied applications. Available in various specifications, we can also customize this range as per the exact application requirements of our clients without hampering its quality standards. Our professionals also test these products on various quality parameters to ensure defect free range. Moreover, we offer this array at affordable prices to our precious patrons.